CTE — a degenerative brain condition that results from repeated impacts to the head — is changing the game of football as we know it. Since doctors first discovered the first instances of damaging plaque when performing autopsies on NFL players, the highly profitable sporting organization has changed rules and poured resources into finding ways to make the game as safe as possible for players. Maximizing the protection player helmets provide is one of the best ways to do this. 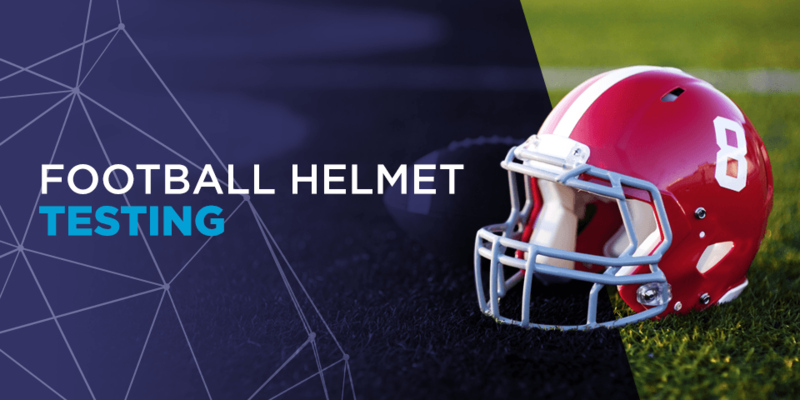 Football helmet safety research is a higher priority than ever these days, and improved football helmet technology is abundant. The intention is to improve fit and comfort, as well as football helmet safety ratings. But the most important goal is to provide better protection for players. Before these new designs can see use, they require testing to determine whether they are up to NFL standards. There is an increased demand from manufacturers and the public to advance the protective quality of football helmets to enhance safety for all players. As concussions and other head injuries continue to harm adult and youth players alike, manufacturers are working to design safer helmets. Each helmet design undergoes a bevy of tests designed to determine overall strength, as well as impact resistance from the front, rear and sides. Football helmet testing also gets repeated in a variety of environmental conditions. For example, certain tests recreate the way materials might expand or contract in the high heat or extreme cold specific playing fields see. Testers place each helmet over a headform and measure it in three directions according to the acceleration it receives after an impact. Because player head sizes may change, these headforms increase in mass and shape to accommodate the largest helmet sizes proportionally. There are two distinct methods of testing football helmets. The drop tower test is the industry standard for helmet testing. In this test, a twin-wire impactor simulates helmet-to-helmet impact. To test the shock absorbency, helmets get taken to a height of 60 inches from the ground, then dropped onto a steel anvil beneath a firm rubber pad at specific velocities, locations and temperatures. However, the faceguard is not on the helmet during this test, because it could lessen the total energy absorption of the helmet. Each helmet undergoes a variety of drop tower testing procedures. The helmet will receive seven different locations of impact, nearly half of which will get decided at random. It also faces eight other impacts, half at low temperatures and the other half at low velocities. In total, the helmet will receive 29 different impacts before it completes drop tower testing. It then needs to undergo pneumatic ram testing. 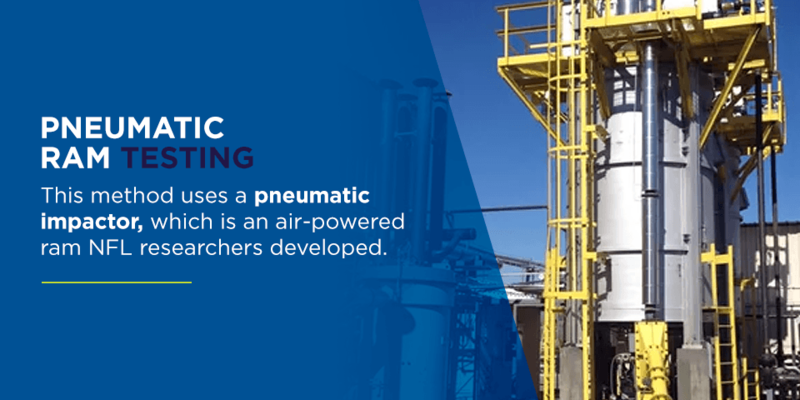 This method uses a pneumatic impactor, which is an air-powered ram NFL researchers developed. After getting placed on a headform, the helmet receives impact from the pneumatic ram. The ram hits the helmet in six different locations at a speed of nearly 65 feet per second. This form of testing allows the helmet to receive impact in locations and directions that would not be possible during the drop tower test, covering impacts on the front, side, rear and top of the helmet. New requirements will also force football helmets to undergo testing under a rotational threshold standard. This test now considers the movements and rotation of the neck in a collision. Since football is the most popular sport in the United States, as well as an increasingly popular sport abroad, it’s vital that all football safety equipment provides the highest level of safety for players of all ages. The National Operating Committee on Standards for Athletic Equipment (NOCSAE) has created standards football helmets must meet to be approved for use. These standards are indiscriminate of age or ability level and must apply to players of all sizes, ages and level of play. 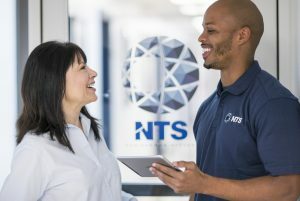 NTS has established all football helmet standards based on research performed by experts, including coaches, doctors and academic professionals. 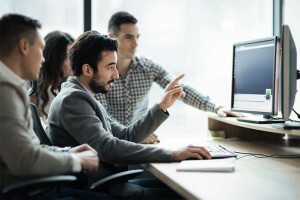 These standards acknowledge the latest and accepted medical and scientific data available, and all tests get rated on a pass/fail scale measured by a Severity Index value. This value determines whether or not the helmet successfully reduces the force of impact the headform received. The SI value needs to be below 1,200 to meet the stringent standards. Regulations are going to continue to get stricter for the 2018-2019 season, with helmet designs getting subjected to new rotational threshold testing in addition to existing tests. These tests will determine not only the helmet’s ability to protect against blows to the head, but also twisting force on a player’s neck. Football is a contact sport, but modern technology is showing us there’s a lot of room for progress to make the game safer so our favorite athletes can perform longer and enjoy comfortable, healthy retirements. For years, the sports equipment manufacturer Riddell had a licensing agreement with the NFL that allowed them to be the league’s official helmet. Although the NFL allows players to wear any NOCSAE-approved helmet, having sponsorship from any sports equipment company could present the idea one brand was better or safer than another. When the league commissioner stopped allowing an “official helmet of the NFL,” it highlighted their focus on incorporating safer helmets into the sport. Since Riddell is the former official helmet of the league, it’s important to note their helmets were present in all three groups. Five of their helmets were top performers, two were lower performers and one was in the prohibited category. The top performer was from a manufacturer called VICIS, a company that’s trying to increase the safety and function of football helmets to protect players better. Though many star NFL players are choosing to wear the Zero1, its high cost has limited its use to NFL and collegiate teams. There’s no denying that while a full-contact sport such as football has an obvious risk of player injury, innovations in football helmet design have substantially helped prevent players from sustaining further injury. One study performed a series of tests on 10 popular helmets to determine how well these devices protect the brain. Results indicated these helmets reduced the risk of traumatic brain injury by one-fifth compared to the likelihood of injury when players do not wear a helmet. The study concluded these helmets do protect players. Their test results showed proper helmet use decreased the risk of skull fracture by 60 to 70 percent and lowered the likelihood of bruising of focal brain tissue by 70 to 80 percent. Compare this to football players of the early 1900s, who were dying from skull fractures and brain bleeding from a lack of helmets. Cloth and leather helmets were then the safety standard, but deaths from football-related head injuries were common. Hardshell football helmets were invented in the 1930s and significantly reduced the amount of impact the skull and brain endured during gameplay. Because the hard shell prevents anything from hitting the skull, fractures are now less common. Helmets today also spread out the impact of a hit, which prevents the head from feeling the total force immediately. New advancements in helmet technology can limit the amount of head, neck and spine damage players are at risk of sustaining. In 2017 alone, the National Football League invested $100 million in research to improve helmets. Some of the safest helmets available now are more customized to the shape of the player’s head. Each helmet uses custom-fitted pads that are adjustable, even down to a player’s haircut. Many new designs also incorporate layers of protective materials to distribute impact forces. These new designs also often allow for a better field of vision so players can see better to avoid traumatic impacts or brace for a big hit. As the pressure on the NFL to protect players has increased, the league is also taking steps to ensure any potential head injury gets reported. Not only are referees and coaches taking more responsibility, but players who may have stayed quiet due to concerns about job security in the past are even reporting their injuries now. That’s a major step forward, and while it might result in a star player sitting out an important game, the rest could help them avoid a career-ending injury. Unfortunately, helmets do not always protect all players from injury. Even though the NFL commissioner insisted players could get suspended for playing in an unsafe manner that could cause another player to sustain an injury, particularly to the head and neck, the NFL continues to report hundreds of player concussions during practices and games during the preseason and regular seasons. More than 1,500 concussions have been diagnosed between the 2012 and 2017 seasons. Kevin Turner, a former fullback, passed away in 2016. He played tackle football since kindergarten and spent 12 years playing at the collegiate and professional levels. Turner’s doctor diagnosed him with ALS, and this degenerative disease was the supposed cause of his death. However, an autopsy confirmed he was suffering from CTE. This misdiagnosis also happened to another player, Ron Perryman, who developed a motor disease as a result of CTE. Many former NFL players have also been posthumously diagnosed with CTE. This disease can cause symptoms such as behavioral issues, mood disorders, memory problems and even dementia. The following five players received a CTE diagnosis after their deaths and displayed symptoms of severe brain trauma while alive. Junior Seau: A former linebacker with a professional career spanning two decades, Junior Seau achieved many accolades during his time in the NFL. Unfortunately, Seau committed suicide in 2012 at age 43 and was found to have brain damage consistent with those who have suffered repeated head injuries. His death, though unrelated, occurred just one year after another former player, Dave Duerson, also committed suicide. Duerson was also found to have CTE and even acknowledged his mental state was deteriorating months prior. Andre Waters: This former safety had a reputation for his aggressive style of tackling players headfirst. After an 11-year career which included multiple concussions, Waters developed depression and killed himself at the age of 44. Ken Stabler: Even players in positions that do not receive an impact to the head during every play are at risk. Ken Stabler was a Super Bowl-winning quarterback who died of colon cancer in his late 60s. Stabler donated his brain for research, believing his headaches, forgetfulness and disorientation were due to head injuries he sustained while playing. Testing confirmed he had CTE. Frank Gifford: Gifford played on both sides of the scrimmage line for many years. Though he died of natural causes, his post-football life was rife with confusion, short-term memory loss and tingling fingers. Among the many hits he sustained, one was particularly devastating. Another player tackled him, and it immediately knocked him unconscious. The concussion landed him in the hospital for 10 days, and he couldn’t return to the field for two years. Aaron Hernandez: Most recently, this 27-year-old tight end committed suicide while he was in a correctional center for committing homicide. Though young, Hernandez displayed many signs of CTE throughout his life, including mood disorders, headaches, migraines and problems with his memory. These injuries aren’t exclusive to professional NFL, players either. Collegiate athletes are also facing these severe injuries. There are confirmed cases of CTE in former players from nearly 150 college programs. This list includes universities in major conferences like the Big Ten, Atlantic Coast Conference and Southeastern Conference, all of which have had at least three former players confirmed to have been diagnosed with CTE. Because doctors cannot definitively diagnose CTE in live patients, it is impossible to understate the importance of football helmet safety for all ages. Tackle football is a dangerous sport that can result in many injuries, including trauma to the brain, skull, neck and spine. However, continual advances in technology are enabling manufacturers to create football helmets that are more effective at minimizing the risk of player injury. 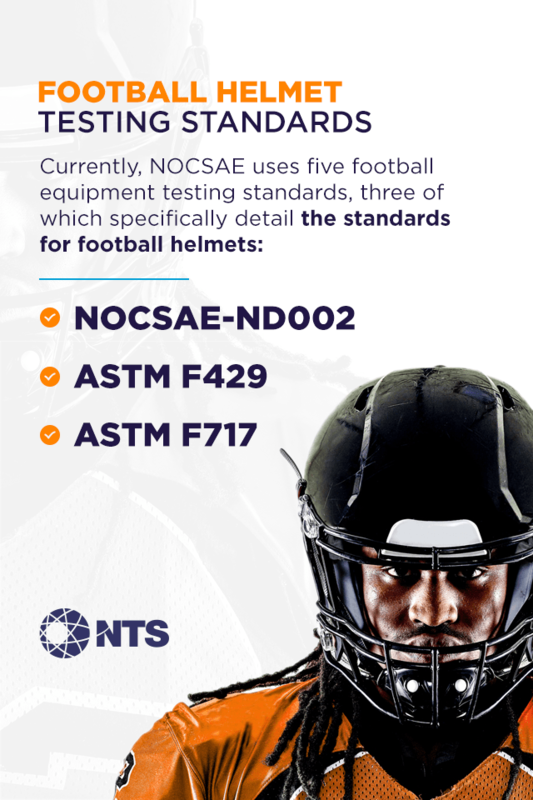 NTS performs football helmet testing that includes NOCSAE standards. 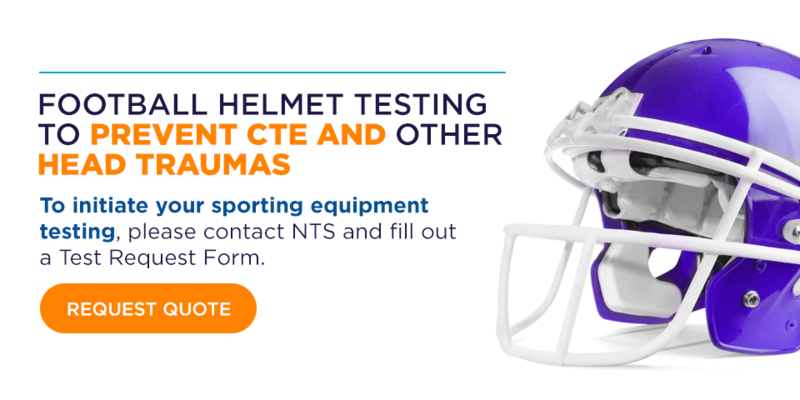 To initiate your sporting equipment testing, please contact NTS and fill out a Test Request Form.